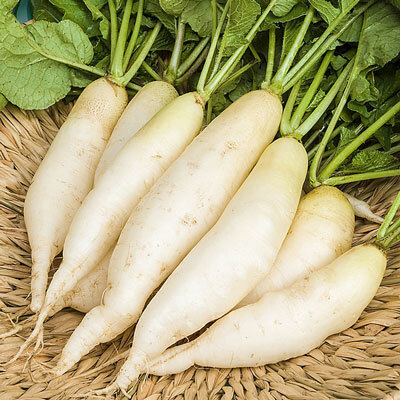 White Icicle Summer Radish | Henry Field's Seed & Nursery Co.
Takes heat well. Mild flavored with 4–6" long carrot-like roots. An heirloom variety that has proven it is well adapted to Southern garden conditions. 27-30 DAYS. Seed Counts: 1 oz. contains about 2,700 seeds, sows a 100-ft. row. Seed Count: 500 per pkt, and 1 oz is about 2400 seeds.